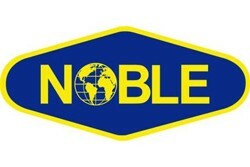 formerly known as Noble Drilling, is a 96 year old Oil drilling company! As their website states, not many companies can claim that milestone. To try and give a scale on the amount of money this company makes, i will give you a figure. $177m. Not per year, but that is there earnings from the second quarter of 2013. Pretty good. In may 2013, Statoil awarded Noble Corp a contract worth 655 million US dollars. The contract length is 4 years and will Noble Corporation will commence operations in 2016.